Audio description provides an enhanced soundtrack for people with sight impairment. 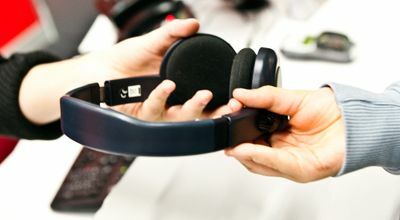 Broadcast through wireless headphones so only the wearer can hear, a recorded narrator describes the on-screen action during gaps in dialogue. Some films are provided with an AD track, which you can find listed in the section above. We keep this section as up-to-date as possible, based upon information provided to us by film distributors. 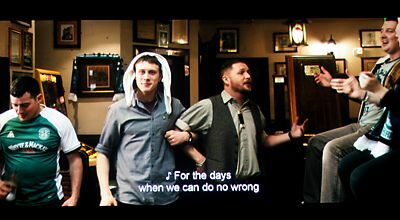 Screenings from our main film programme with descriptive English subtitles and added information around actors’ dialogue, sound effects and music. For anyone who is deaf or has hearing loss, but open to all. Did you know? You can use our headsets in any film screening to hear amplified sound levels. Just ask at Box Office. Screenings in a supportive environment with reduced sound levels, partially raised lighting, no trailers and freedom to move around. When possible, we provide a separate space to relax in. Audience feedback indicates that these screenings are also suited to people with certain learning disabilities. Tickets for our autism friendly screenings are £4. There is wheelchair access to all public areas, spaces available in the screens, T-hearing loops at all pay points, accessible toilet facilities and ‘Changing Places’ space. Assistance dogs are welcome, and can go into the screens or stay in a quiet room with a water bowl. Find out more about accessibility at Phoenix. Production of a Cinema Exhibitors’ Association (CEA) card at our box office entitles customers to a concessionary rate ticket and a free ticket for one essential carer. This is a national scheme – to apply for a card click here. YourLocalCinema.com is an award-winning website for people with hearing and sight loss that provides listings for subtitled and audio described screenings around the country. 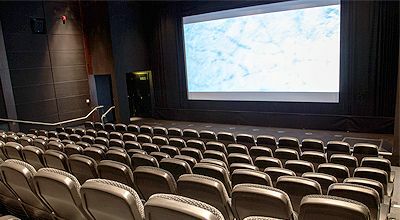 Launched at Phoenix in May 2013, our Access Cinema programme was originally funded by Creative England, the British Film Institute and Leicester City Council. It ran initially from May to September, but as social inclusion is a core part of Phoenix’s mission the project was extended throughout the year with the support of Leicester City Council. We work with charities and organisations such as Vista, Action Deafness, the National Autistic Society, Voluntary Action Leicester and NHS Leicestershire Partnership Trust to ensure our Access Cinema programme meets local needs and that Phoenix remains an inclusive and welcoming destination for film. Through Access Cinema, Phoenix brings people with differing access needs together to watch the best in world cinema and socialise with friends and family; we strive to keep up to date with social policy, advancements in accessible technology and best practice to ensure we provide all our customers with the most enjoyable cinema experience possible.